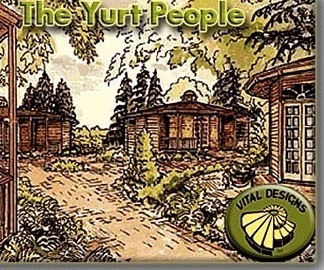 Vital Designs has licensed California Yurts exclusively to offer these designs under contract with our clients throughout California for code approved Engineered homes sytems that meet or exceed energy and urban wildfire requirements for sustainability and quality made from earth friendly materials. We offer zero impact LEED systems as well. Our most popular homes are displayed here. Getting the most functional space for your dollar is a main concern since price is determined on a square Ft. basis. We manufacture the off site components for $110 per square Ft.
Plan documents, permit fees, engineering, delivery, foundation installed thru the” Dry in “of our homes is estimated at an additional $25 per Square Ft. Finished homes installed starting at $73,500 to $553,000 at $240 per Square Ft. Sloped, engineered sites add an additional Square Ft. cost starting at $320 per Sq.ft. Cluster 5 bedroom and office home in Talmage Ca. "Having a fine home can be a matter of status, of expense and extravagance, or it can be a mean having the best house for you and your needs, a home that you design and build, a home that is fine because it is simplt just right." 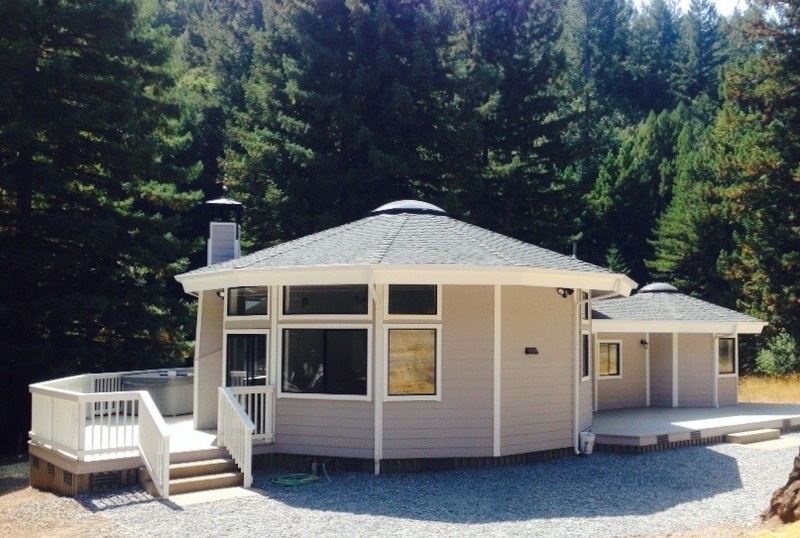 “There’s no particular beauty in a round building - if the proportions aren’t right. The aesthetics and proportion are important factors for me. Some builders can just throw up a round building and be happy with it, but I can’t. The proportion has to be just right.